Amanda Carty serves as Chief Marketing Officer for Diligent Corporation. Her responsibilities include driving global marketing strategies, including product marketing, corporate communications and other essential go-to-market efforts. 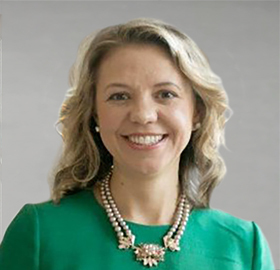 Amanda previously served as VP of Marketing for Thomson Reuters’ tax and accounting division, where she was instrumental in launching its high-return Taxologist initiative, honoring and empowering tax professionals who embrace technology, innovate and challenge the status quo in their fields. She has also held other strategic marketing positions during her nearly decade-long tenure at the firm. Most recently Amanda was recognized as a finalist for Female Executive of the Year – Business Services and Woman of the Year – Advertising, Marketing & Public Relations for the 2016 Stevie Awards Women in Business. Amanda holds a MBA in International Marketing from the New York Institute of Technology.